Announcement Coupon Organizers, Wristlet Keychains, Checkbook Covers, Key Fobs, Eyeglass Cases, Purses and more. 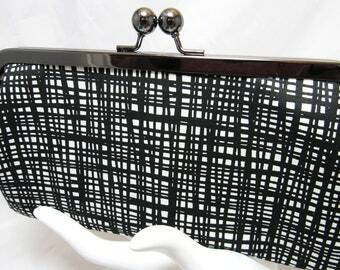 Fun, fashionable accessories in great designer fabrics! New styles added to the shop weekly! Coupon Organizers, Wristlet Keychains, Checkbook Covers, Key Fobs, Eyeglass Cases, Purses and more. Thank you! I always love your key fobs. I'm sorry I couldn't give this purchase experience five stars. I never heard from this shop for 6 days from my order date and even then I contacted them first to check on the status of my order....and a few hours later I received my first communication from them....a shipping notification. The envelopes are thinner than I expected but as long as I don't store too many bills inside they will have to do. One side of one envelope came apart so I taped it together. Nice colors. 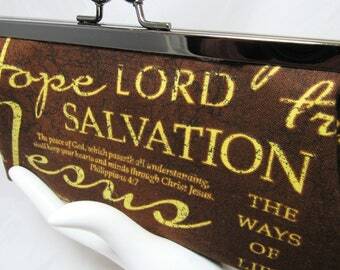 Received my coupon purse today and I love it. Perfect size and held everything I needed. It was gifted wrapped, which was awesome. Even though the purse was for me, it made me happy to open the gift to myself. The dividers and pre-cut labels was perfect. Will order other pretty handmade items from this seller. Communication with seller was excellent and really good shipping time. Welcome to Jimmy Pickles Accessories where you will find a fun selection of accessories to express your own unique individual style. I love creating fashionable yet practical items that can be used everyday. I am a huge collector of vintage and designer fabrics. I try to make my shop a combination of both. I hope you find that special item in a pattern that you will love! Thank you for visiting my shop! I know there are many wonderful shops here on Etsy and I am happy you have stopped by to visit mine! Please feel confident when purchasing from my shop. If you should find that you are not happy with your purchase please let me know anytime and I will make it right. Either a replacement item or a refund will be issued based on the individual issue. Orders are shipped Monday-Friday. Shipping times may vary based on item. See individual listings for specific shipping schedules. Holidays and weekends cause a little delay. All orders will be shipped to the mailing address stated on your ETSY receipt. International buyers, please take note that the buyer is responsible for any duties and/or customs fees that may be incurred by their destination country. Please be aware of your countries regulations. Wholesale inquiries always welcome. Convo me for details! Need a bunch of Wristlet Keychains for a special event? Showers, birthdays, corporate events. The Wristlet Keychain makes a great gift. Convo me for details! Copyright © Jimmy Pickles Design All Rights Reserved.